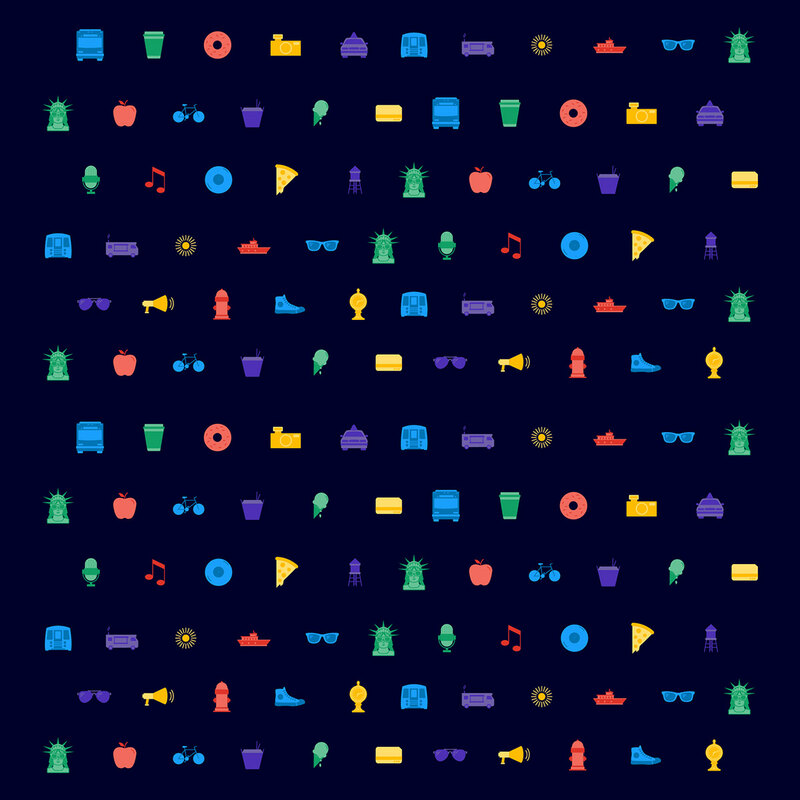 For this years festival, we created an identity system that celebrated the summer vibes, sights and sounds of New York City. 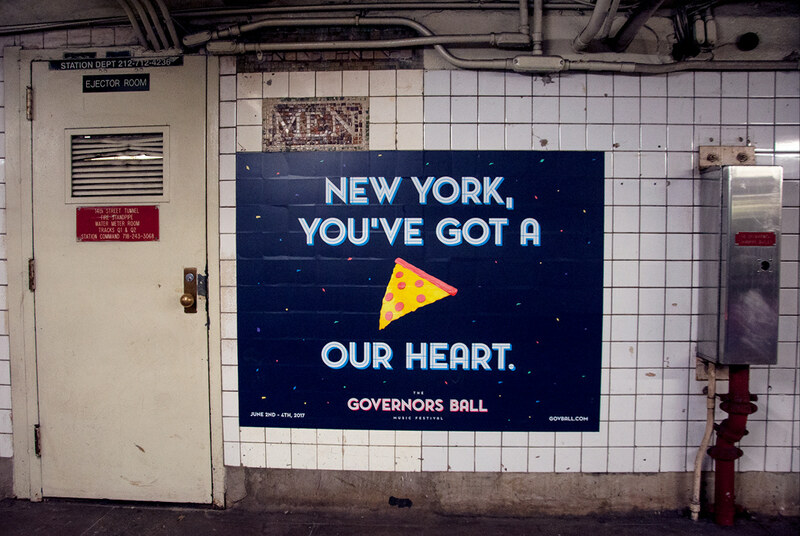 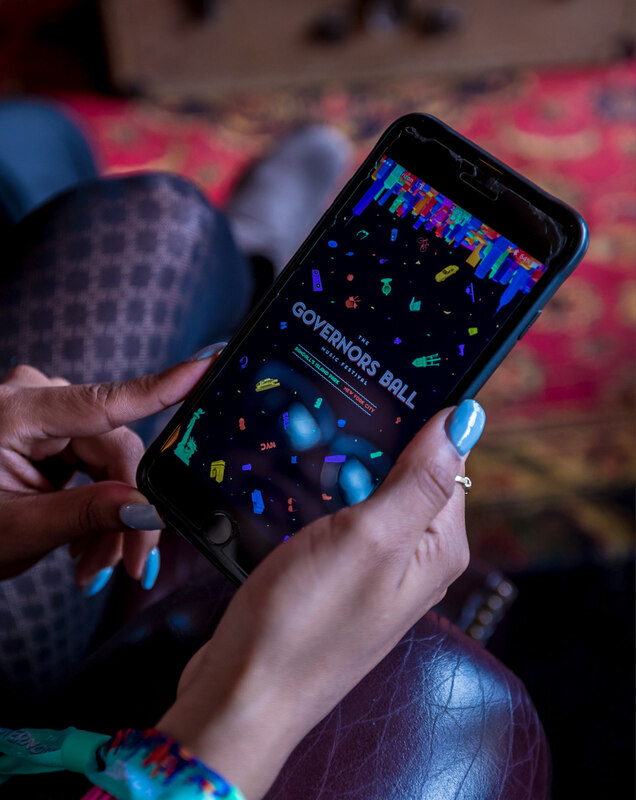 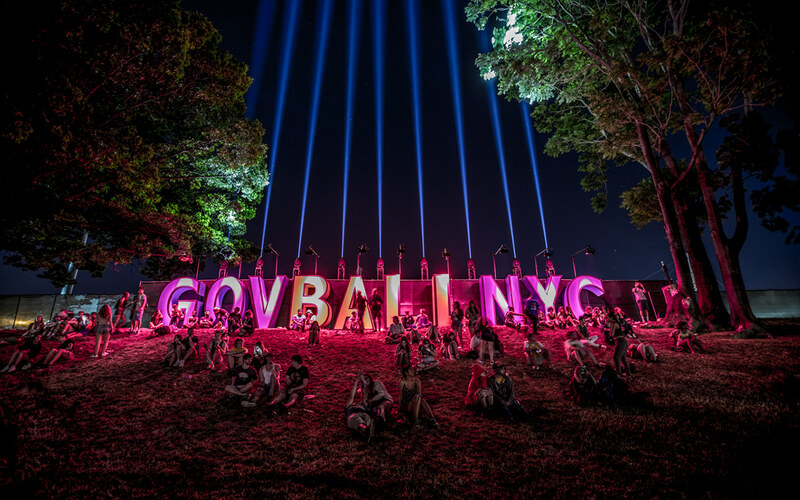 It also embraced the iconic elements of the city and the festival, which any New Yorker or repeat Gov Ball attendee would appreciate. 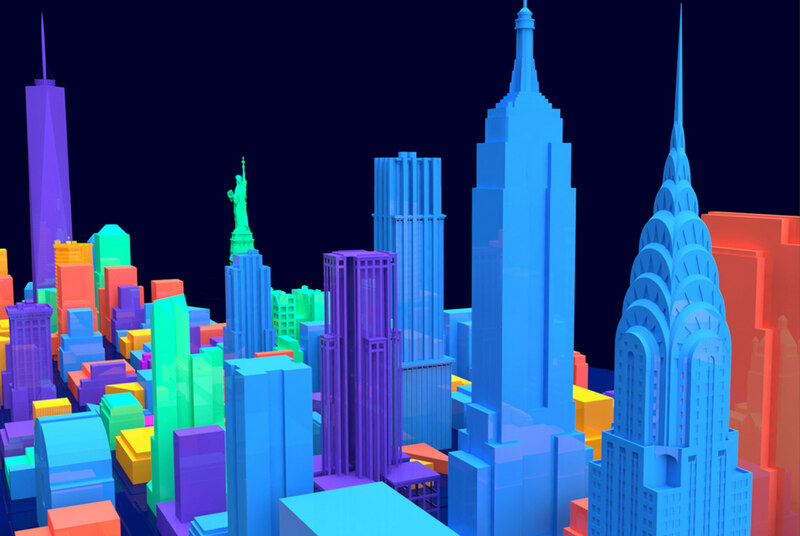 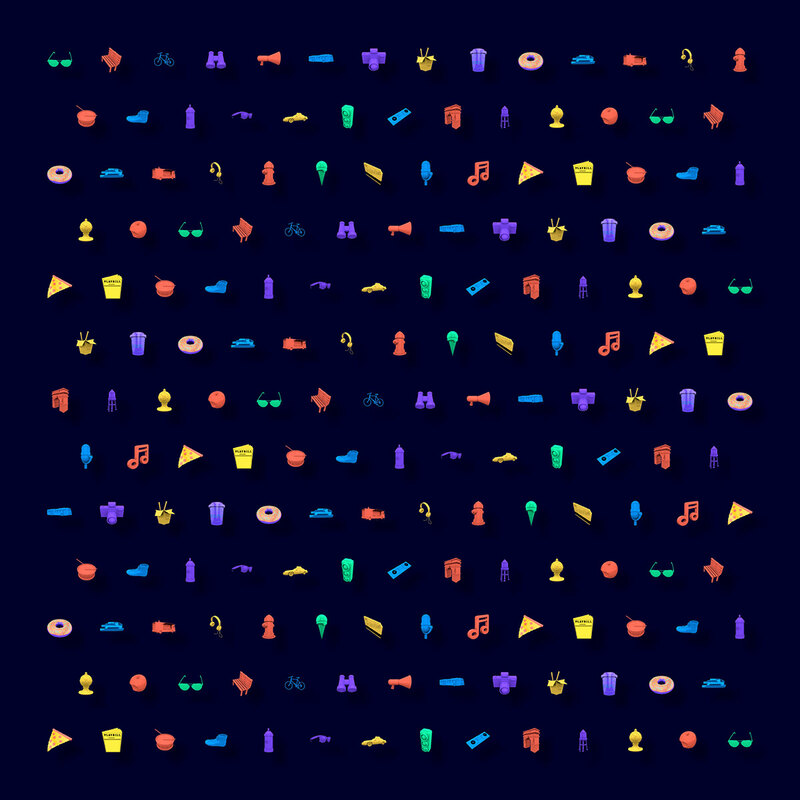 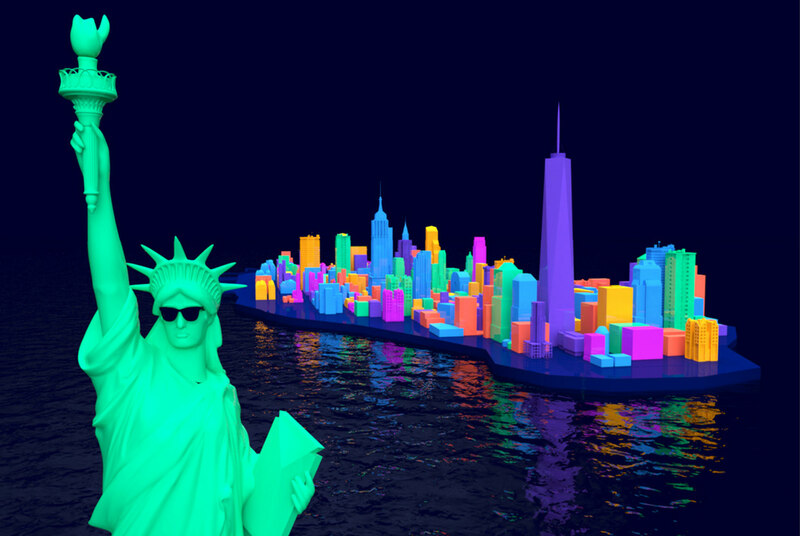 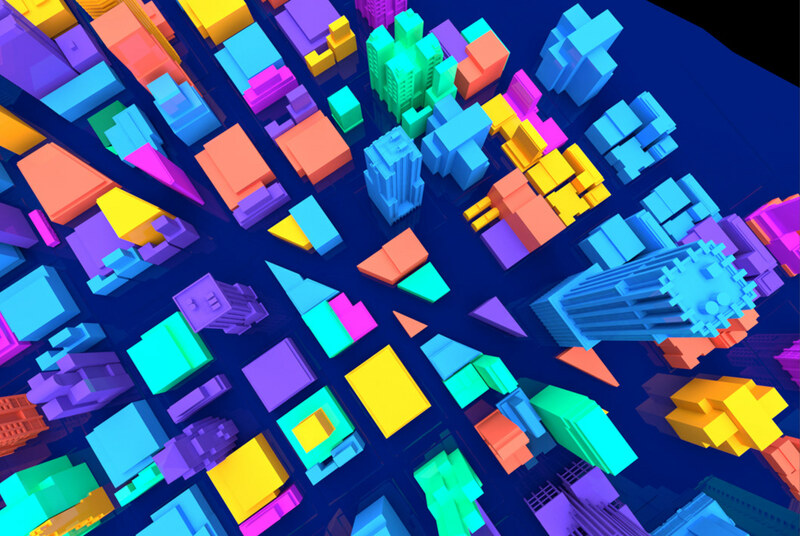 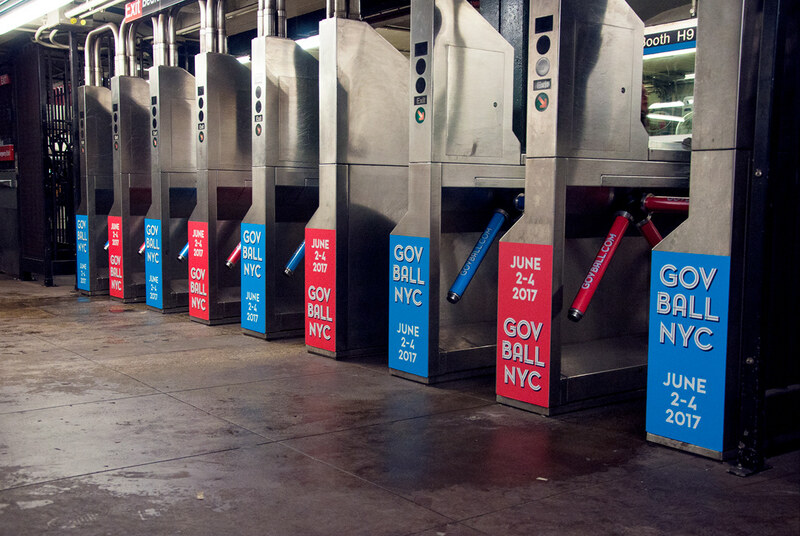 To do this, we developed a large collection of 3D models, representing both NYC and Gov Ball icons. 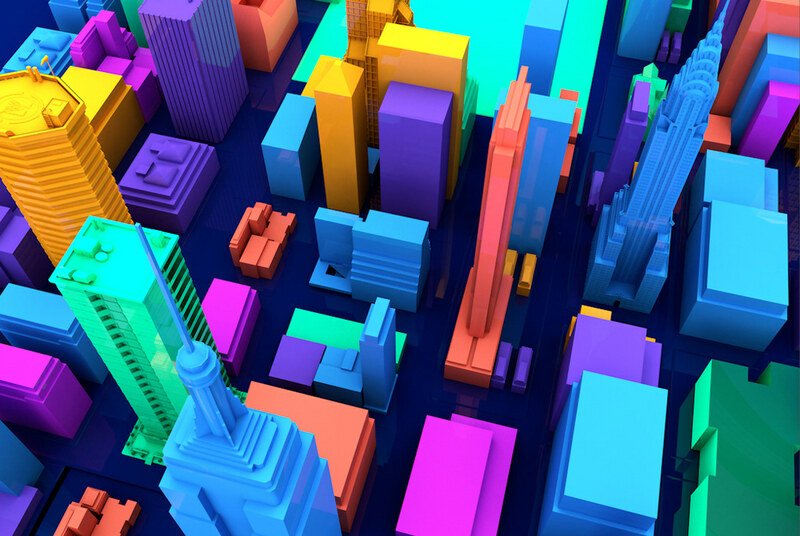 Hot dogs, MetroCards, taxis, fire hydrants, city buses, and Chinese takeout boxes were are rendered in a unifying, brightly colored style. 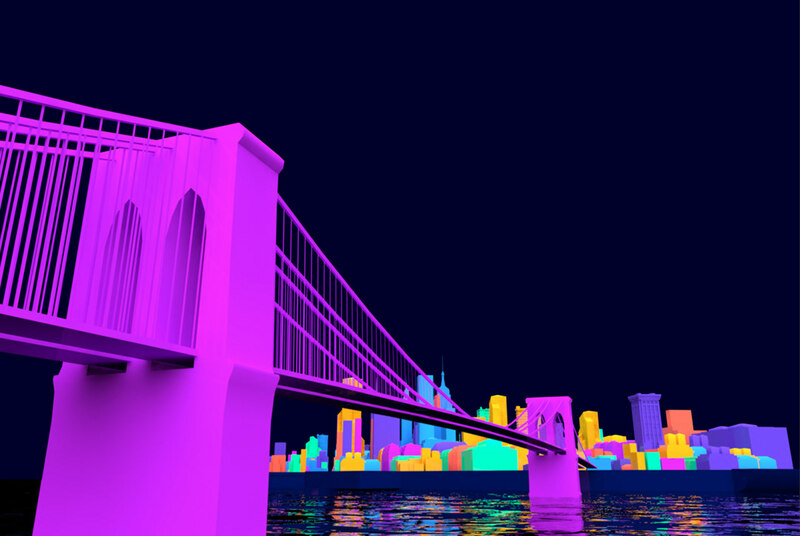 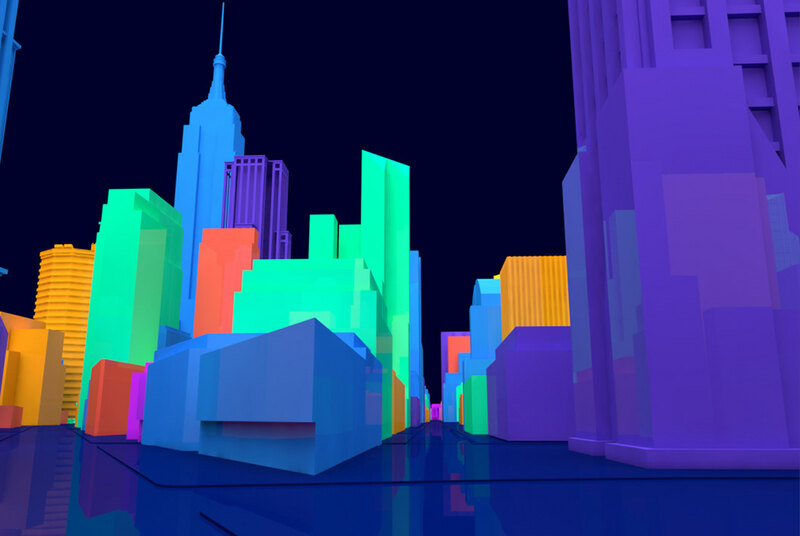 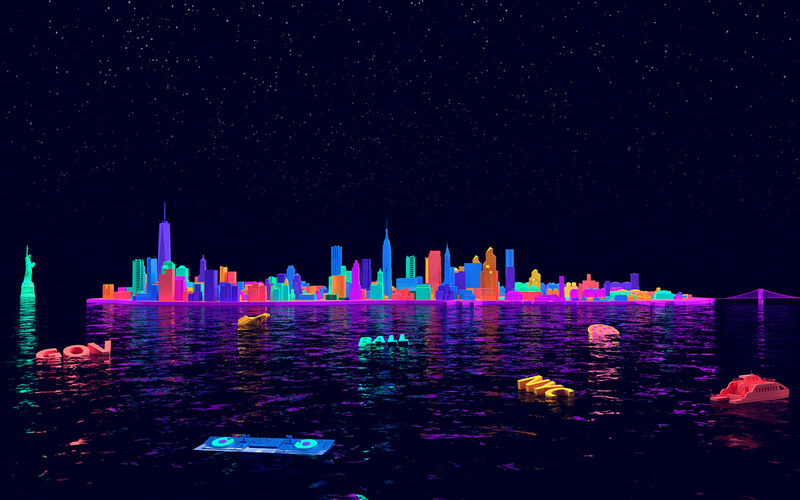 We also created our own version of Manhattan, which we could pan through in animations, and admire for it’s beautiful skyline. 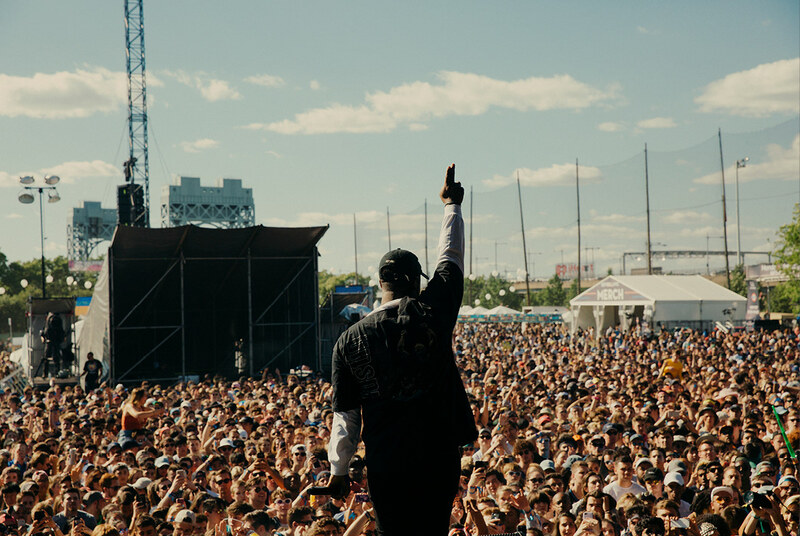 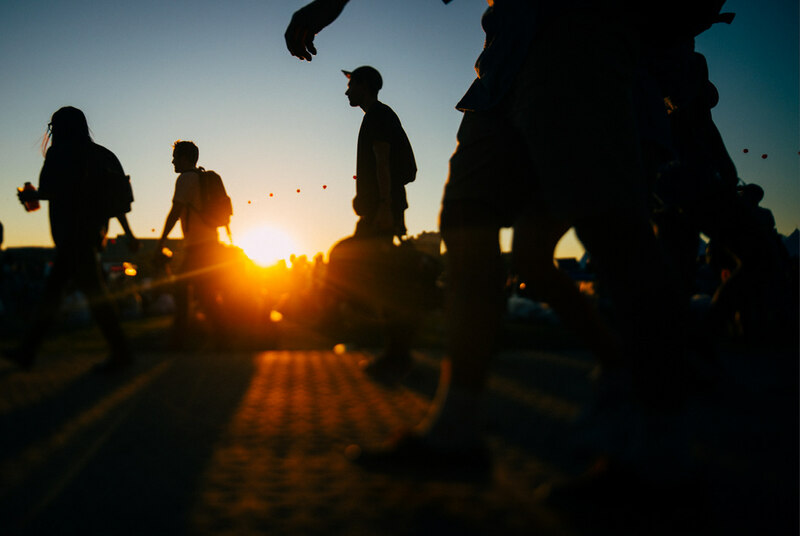 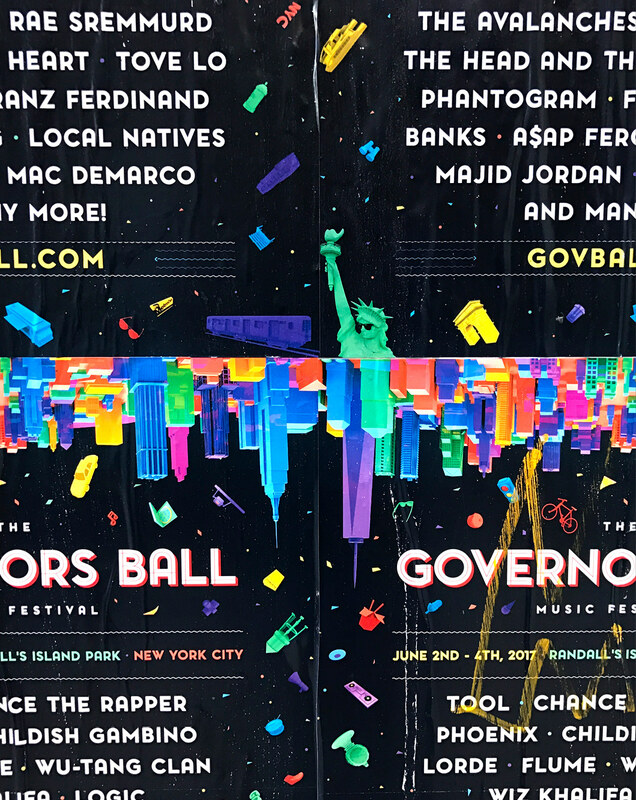 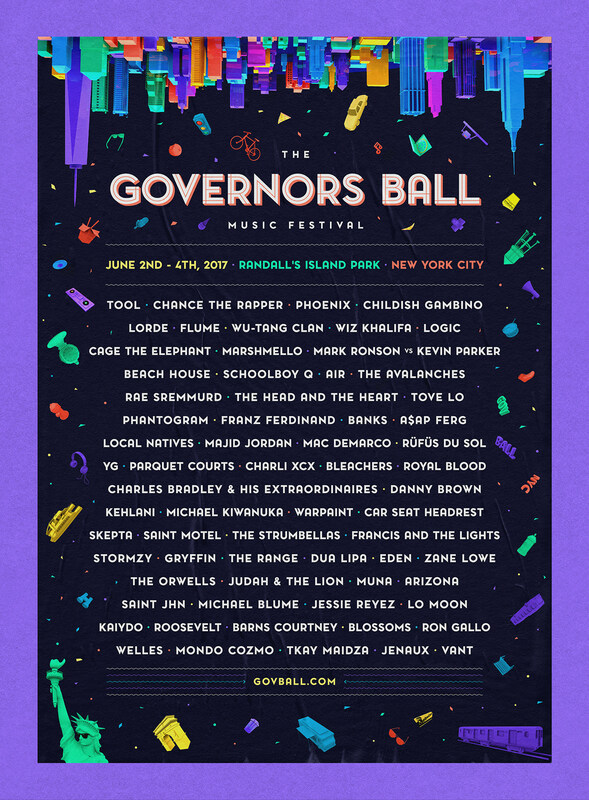 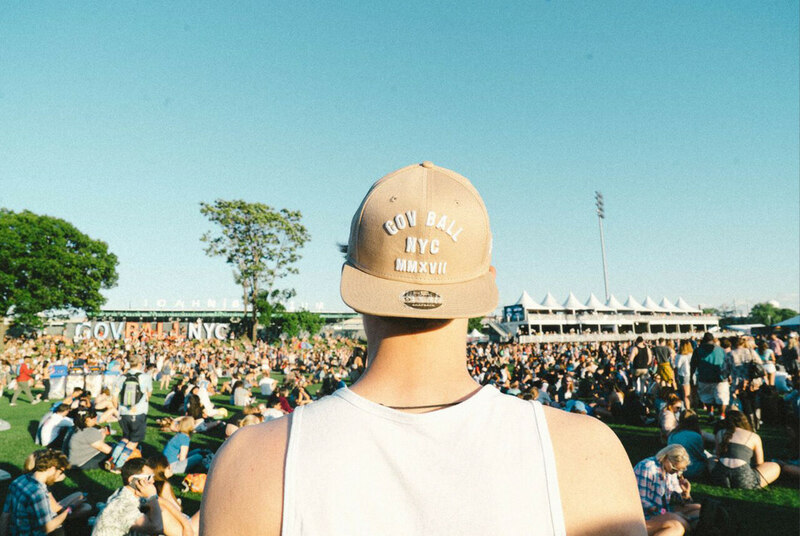 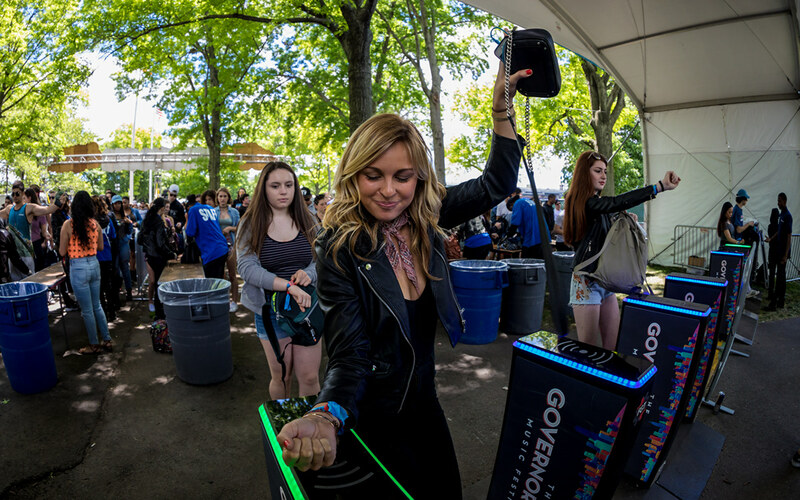 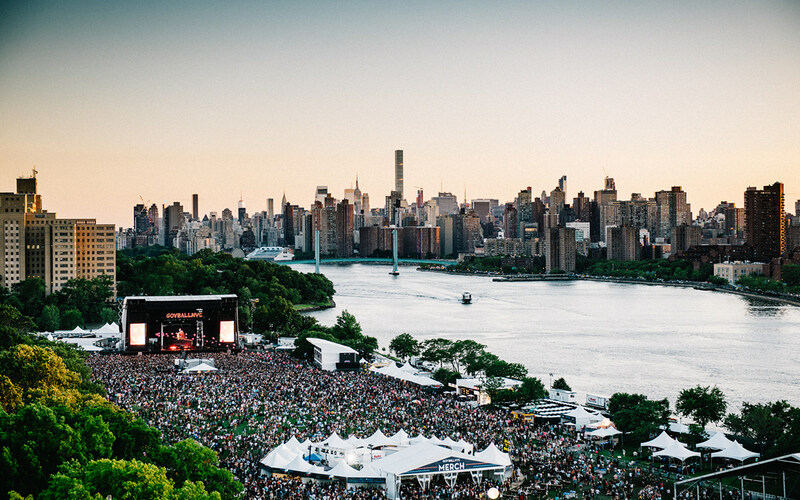 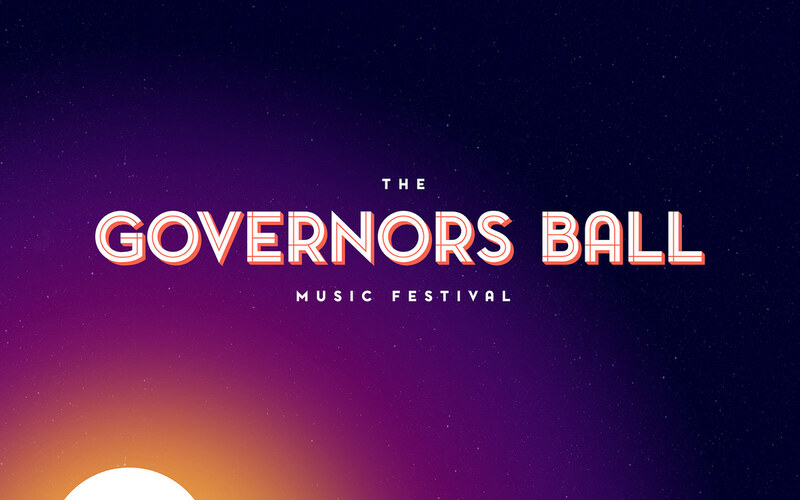 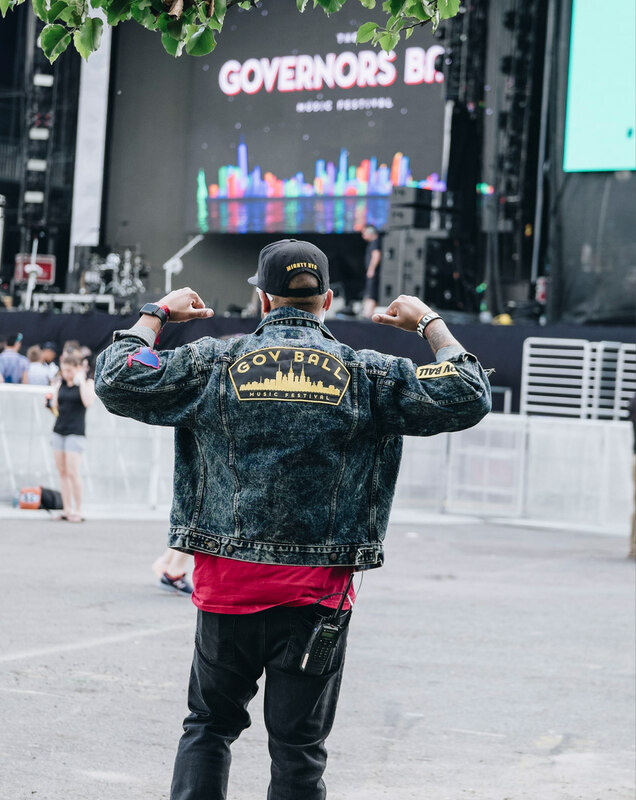 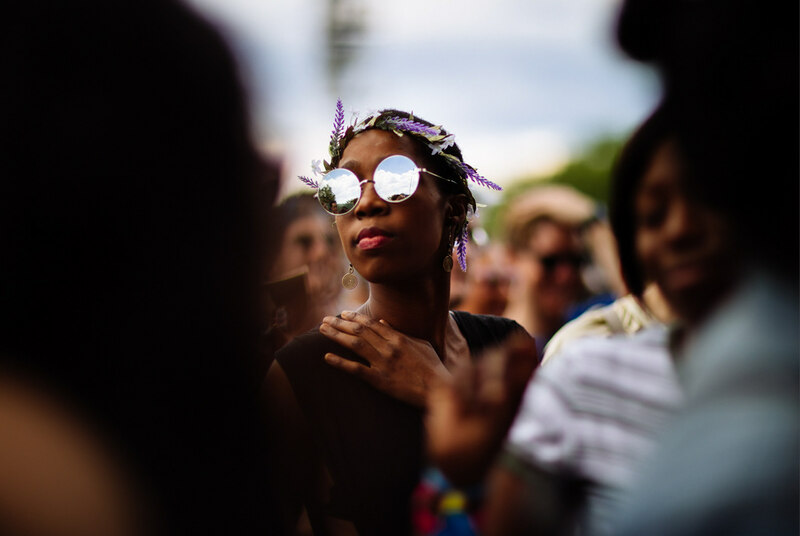 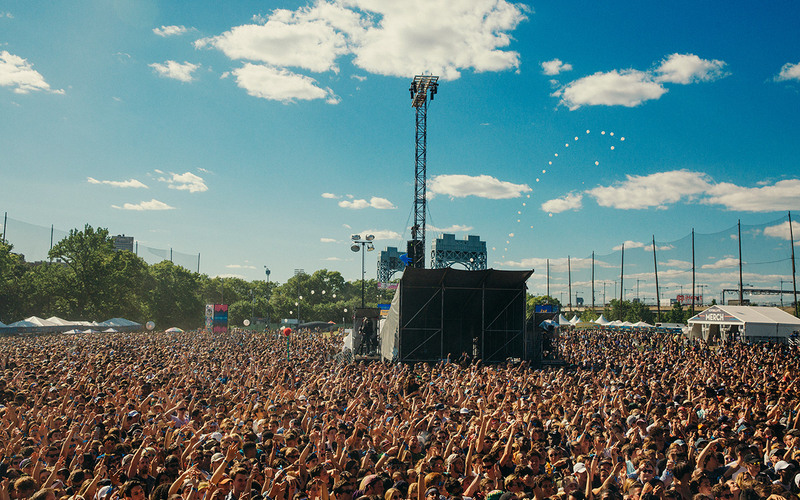 THE GOVERNORS BALL MUSIC FESTIVAL 2017 – The Governors Ball Music Festival is a multi-day music festival held on Randall’s Island in New York City. 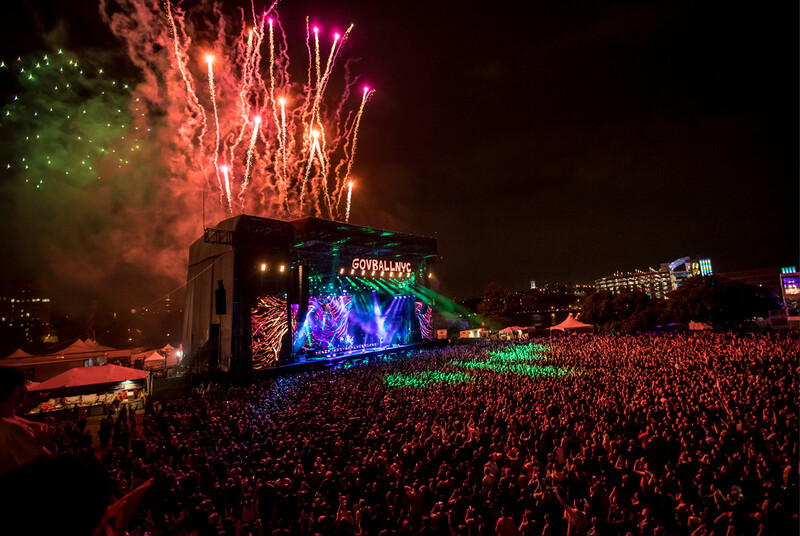 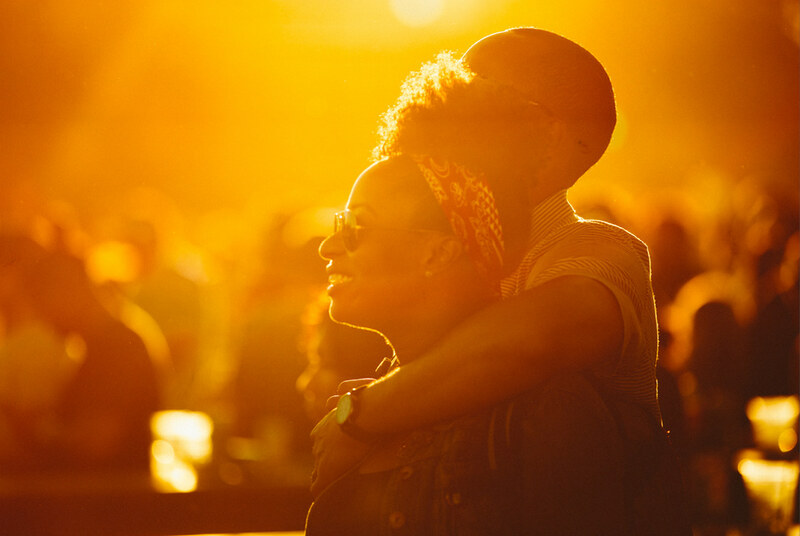 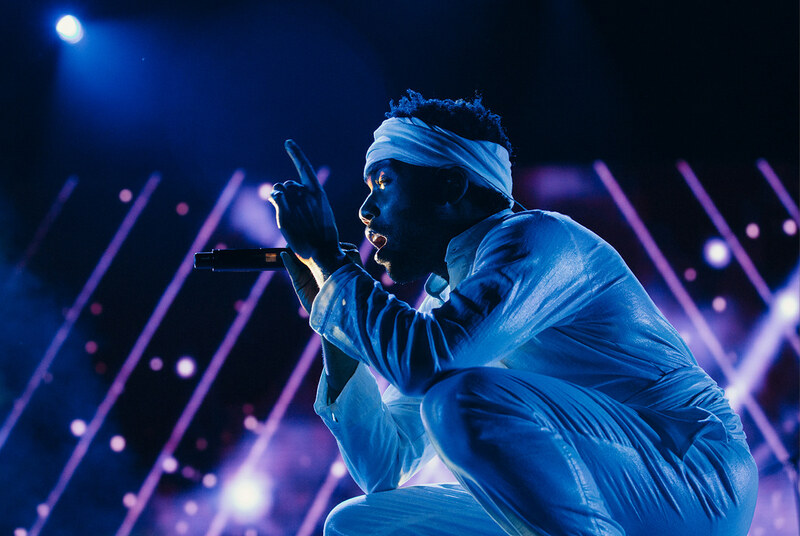 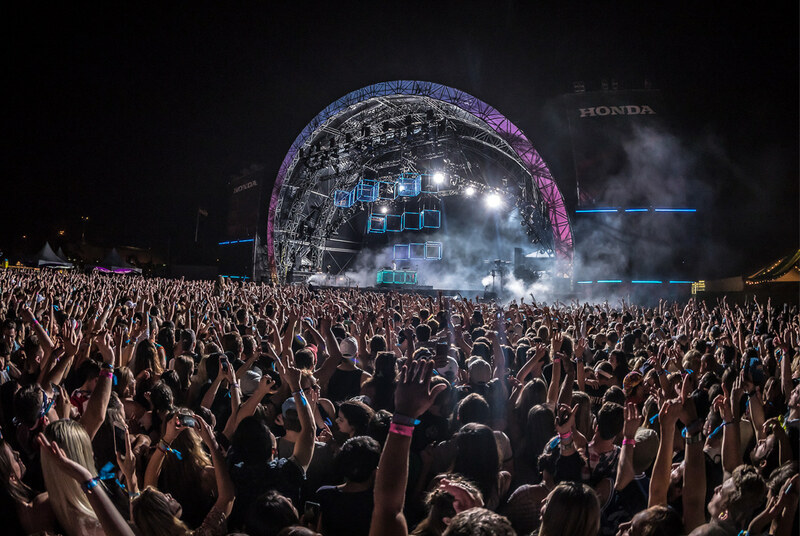 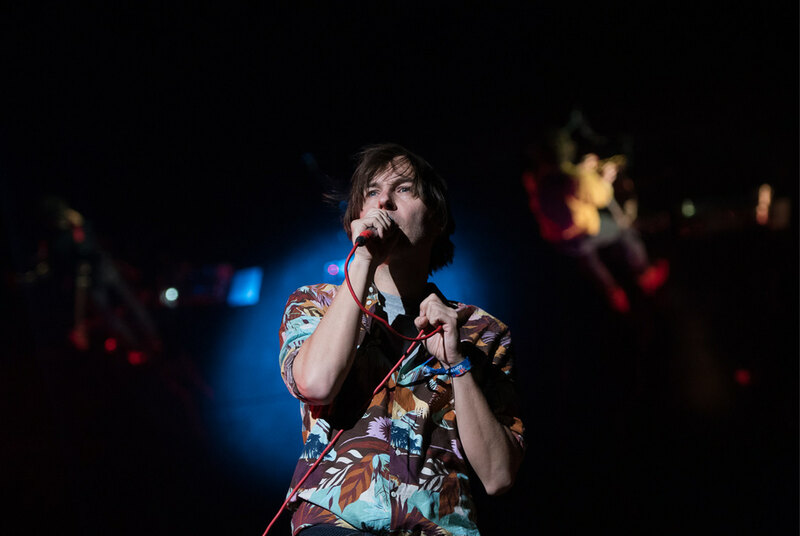 Launched in 2011, the festival features an array of genres and styles of music, including rock, electronic, hip-hop, indie, americana, pop, folk, and more. 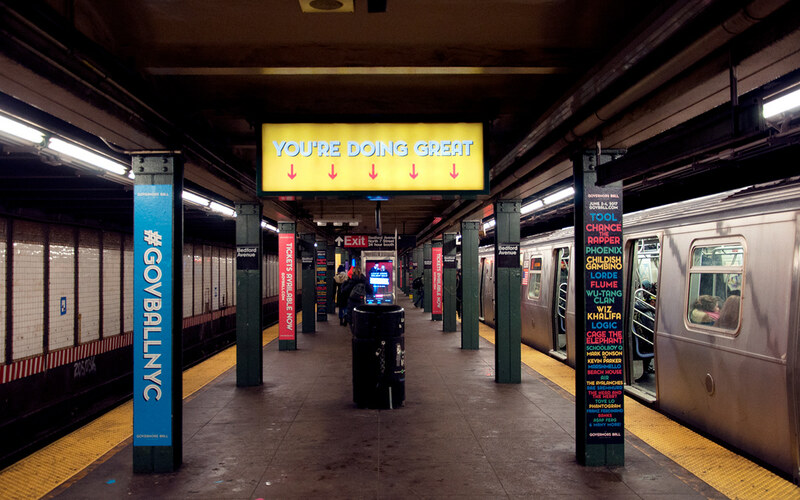 It’s also a highlight and icon of the summer for many New Yorkers and traveling attendees. 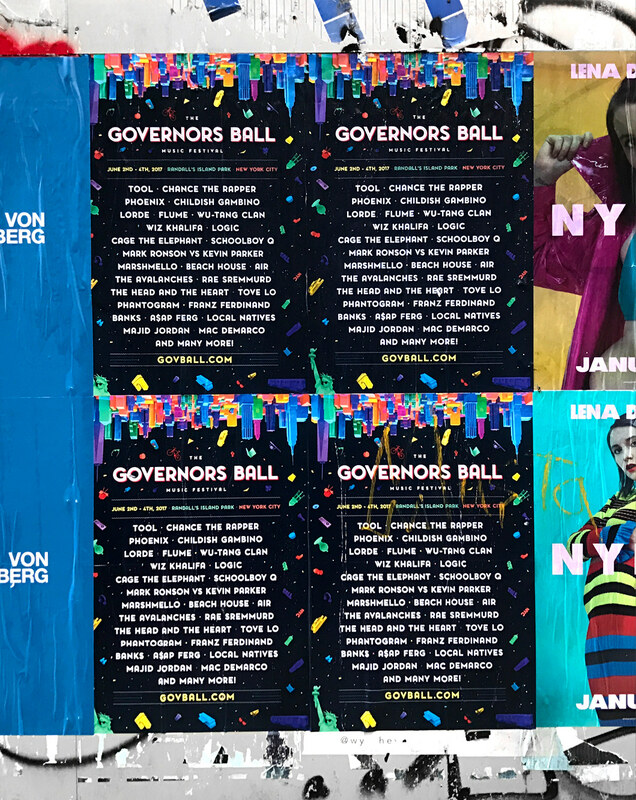 For this years festival, we created an identity system that celebrated the summer vibes, sights and sounds of New York City. 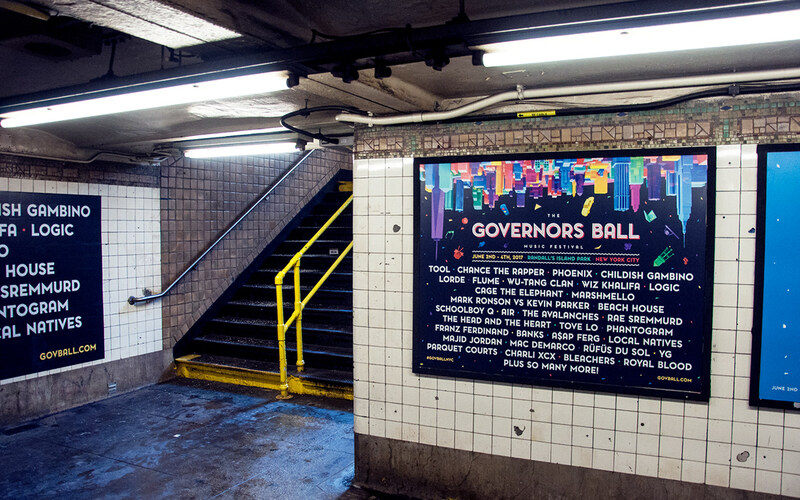 It also embraced the iconic elements of the city and the festival, which any New Yorker or repeat Gov Ball attendee would appreciate. 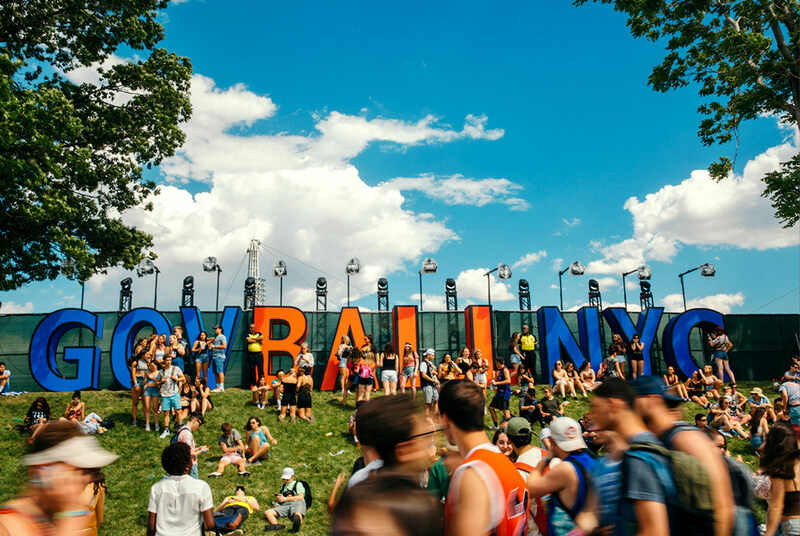 To do this, we developed a large collection of 3D models, representing both NYC and Gov Ball icons.